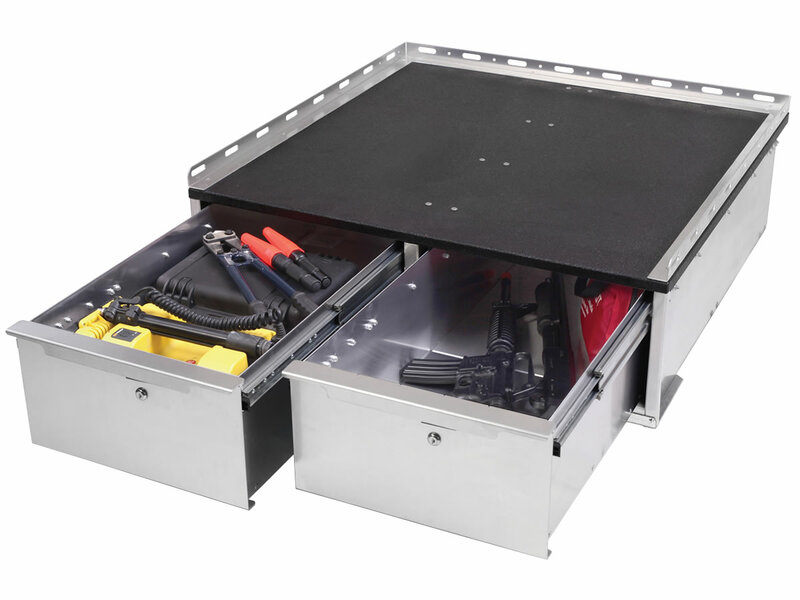 Get to your gear faster by separating it into one of two side-by-side drawers. 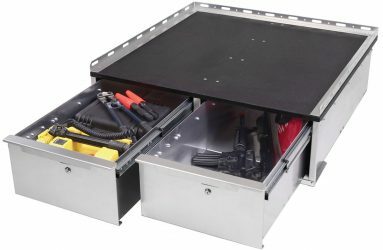 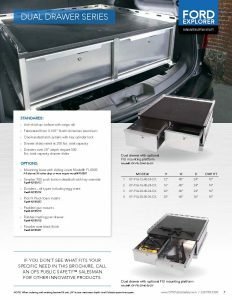 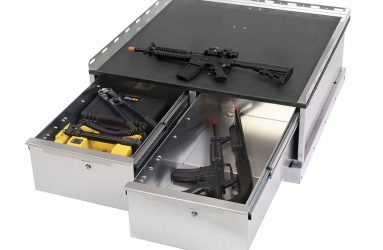 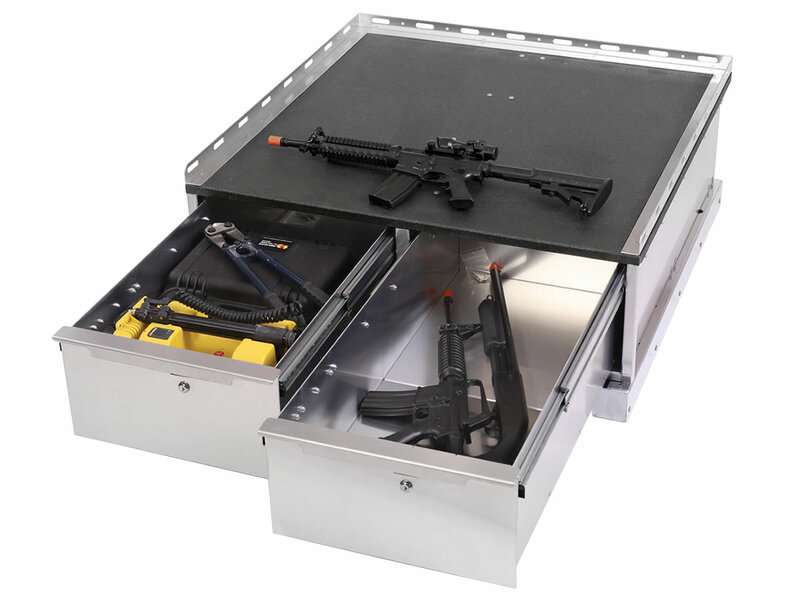 Ideal for safely dividing weapons and equipment, the FORD dual drawer weapon series unit, like all of our drawer units, comes with a mounting platform for quick, easy access to your spare tire. 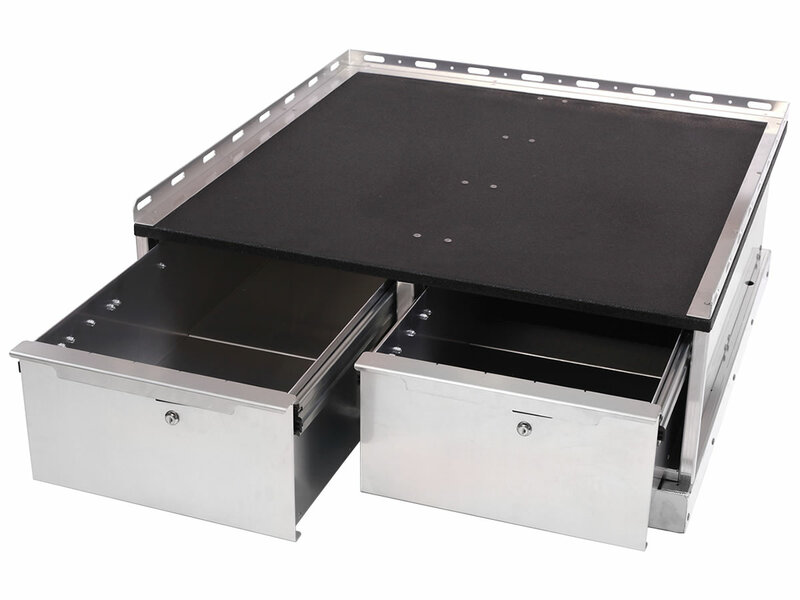 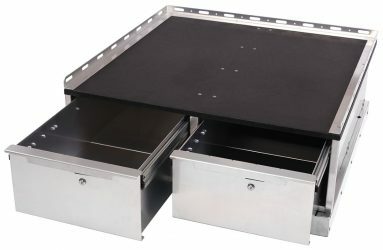 Dual drawer with FIU mounting platform.